It can be difficult to decide what to buy your little one for their birthday, so I've compiled a gift guide of toys that any 3 year old would love to get their hands on! This beautifully illustrated wooden recorder is a fantastic present for any 3 year old who enjoy making music. Why not get a musical instrument a little different? This wooden harmonica is illustrated with a fox, feathers and trees. Help your little one with their fine motor skills with this threading board. Thread the blue shoelace to create the water from the mouse firefighter's hose. Playing board games helps many developmental areas, not only increasing their cognitive skills, such as problem solving it helps develop your little one's social and emotional skills by exposing your little one to wins and loses. It also helps turn taking and playing nicely with someone else. Do you know a little one who loves Unicorns? Then this game would be a sure winner. Move your unicorn across the clouds to collect the most crystals to win the game. Help your baby bird grow from an egg by feeding them the correct food. This game matches symbols and helps with turn taking and loosing/winning. Find the other sad face! This game will help improve your little one's understanding of emotions by finding the matching face to create pairs. At 3 years old your little one can have fun with magnetic play sets. Giving your little one the opportunity to tell stories and use their imagination, helping in cognitive, speech and social development! Play dress up with this fun magnetic set. The bear and fox figures come with 35 magnetic pieces to give a range of choices for your little one. It's also a lovely size making it easy to take out and about. Your little one can use this toy to learn letters and practice spelling. A fun way to encourage learning. Let your little one's imagination run wild with two space scenes and 54 magnetic pieces. This also comes in a 'Treehouse' version. Role play has many developmental benefits for all areas of development, especially speech and social development. 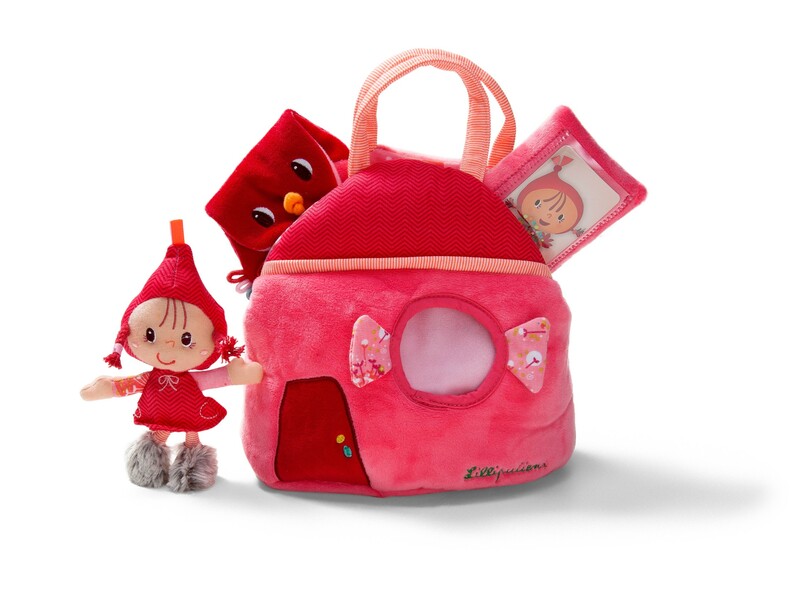 This fabric handbag is full of fun items, it has a purse, phone, keys, mirror and of course little red riding hood. Your little one can play as a customer or market stall holder with this fun market stall set, complete with wooden food and shopping bag. Helping improve social and speech development. This beautiful dolls house would be a wonderful gift for any little one's who enjoy role playing. The house has a swivel base meaning it can be played from all sides. Dolls sold seperately. This is a luxury castle set, complete with knights, horses, dragon and trebuchet. Your little one's imagination can take them on adventures with knights and dragons. This fun vibrant kitchen is large enough to be played at standing up and comes with a waterproof sink. Perfect for any budding chef. I hope that this has helped with your quest to find the perfect gift! P.s Happy 3rd Birthday little one from all of us!